Lenovo has launched its latest smartphone with quad cameras in China today. The price of Lenovo S5 Pro is 1298 yuan for 64 GB version i.e. 13,500 rupees. And 1398 yuan for 128 GB version, which is about 15,000 rupees. . The phone is available for pre-booking from official Lenovo China website and it will be available for purchase from October 23. It comes in Ice Blue, Gold, and Crystal Black colors. The Lenovo S5 Pro has a 6.2-inch Full HD + LCD display with a screen resolution of 2246 x 1080 pixels. It is powered by an Octo-Core Qualcomm Snapdragon 636 processor, which has 6 GB RAM and 64 GB / 128 storage, which can be further extended up to 256 GB using MicroSD card. The smartphone comes with four cameras - two back and two forward. Dual rear camera comes with a combination of 12 megapixels and 20 megapixel setup, with LED flash. For the double front camera, the 20-megapixel primary camera and the 8-megapixel secondary camera are for self and video calling. 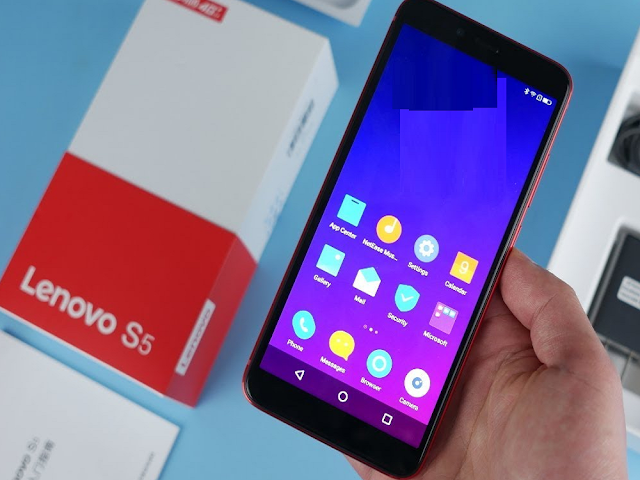 The Lenovo S5 Pro smartphone runs on the Android 8.1 ZUI operating system ZUI 5.0 and is powered by 3,500 mAh battery. To enhance the security feature, the phone has the back fingerprint sensor and face unlock feature.